Each year as we settle back into our home in Harbin we commit to making this apartment our home. After many talks about making our apartment more homey, we finally purchased some house plants! 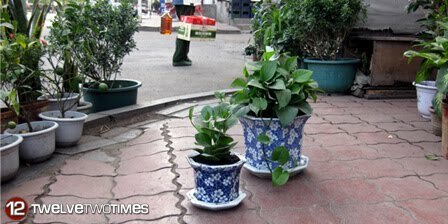 For two years, we walked past the plant store near our apartment as we bought vegetables, noodles, or walked to the large super market. But until last week, we never made a purchase (or even asked the prices). We're committed to live in China so we committed to buying house plants. As Kanyon and I waited for the plants to be potted, we wandered around the rest of the store. We walked to the back and found many types of fish for sale and one cat guarding the fish from high above. The shop owner came in and directed Kanyon to something special in the largest tank. An alligator! This guy was about 3 feet long! What are they going to to with an alligator when he gets too large? I'd bet that when he's the right size, he'll make an awesome meal.